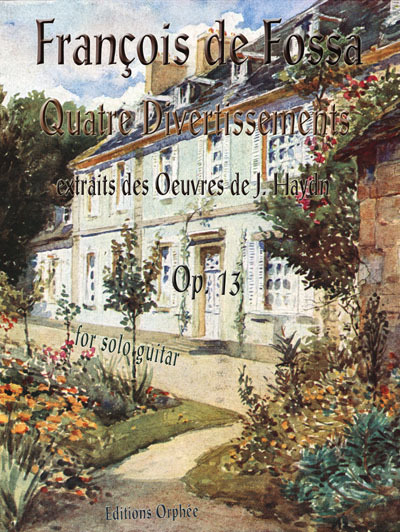 Respected classical guitar publisher Editions Orphee has undertaken the admirable task of re-engraving and adding new fingerings to the seminal classical guitar solos of 19th - century French composer and guitarist Francois de Fossa. Each of these solos features a watercolor painting by the composer's grandson on the cover, and range from lighthearted original works to variations on the works of Haydn. Serious classical guitarists will be overjoyed at the painstaking care with which these works have been restored for performance. For advanced players.